panels as well as the graphics card (NVidia GeForce FX 5200) remain the same. 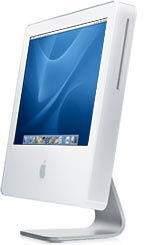 option for a next generation iMac. line. Other than that, it looks to be a winner. aliases and members are offered a free year subscription to VersionTracker Plus.